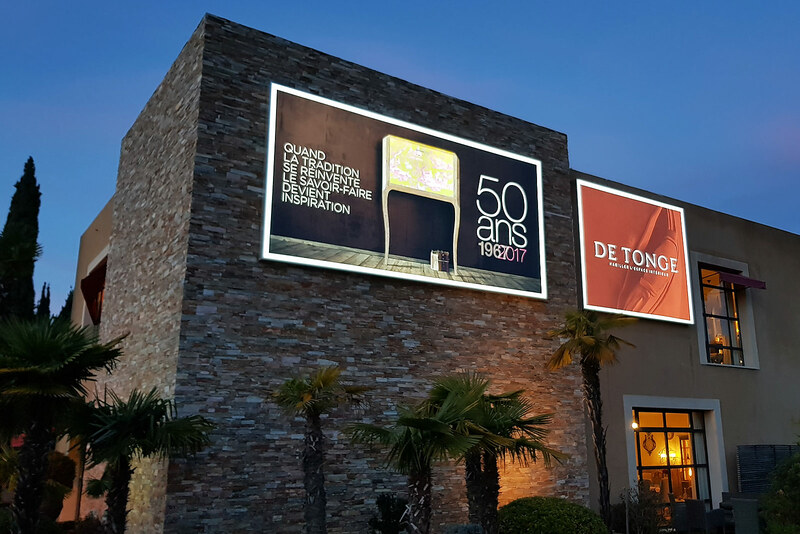 The half-century of House of DE TONGE, was celebrated during an evening event around the presentation of the iconic furniture Trema. 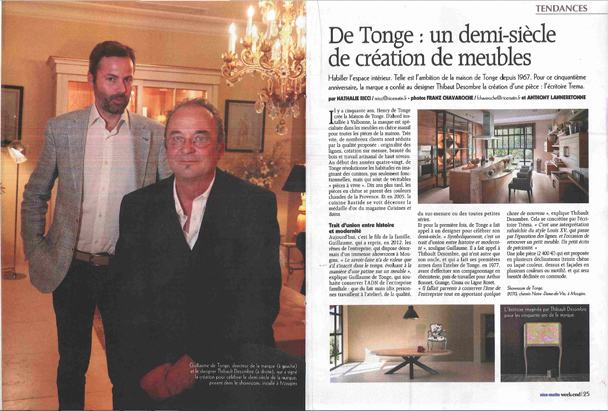 NICE-MATIN, presented on this occasion retranscribes the event in its Week-End edition of November 17, 2017, with a double page featuring Guillaume de Tonge alongside the designer Thibault Desombre, during the evening of which is presented the fruit of their collaboration, namely the Trema writing desk. 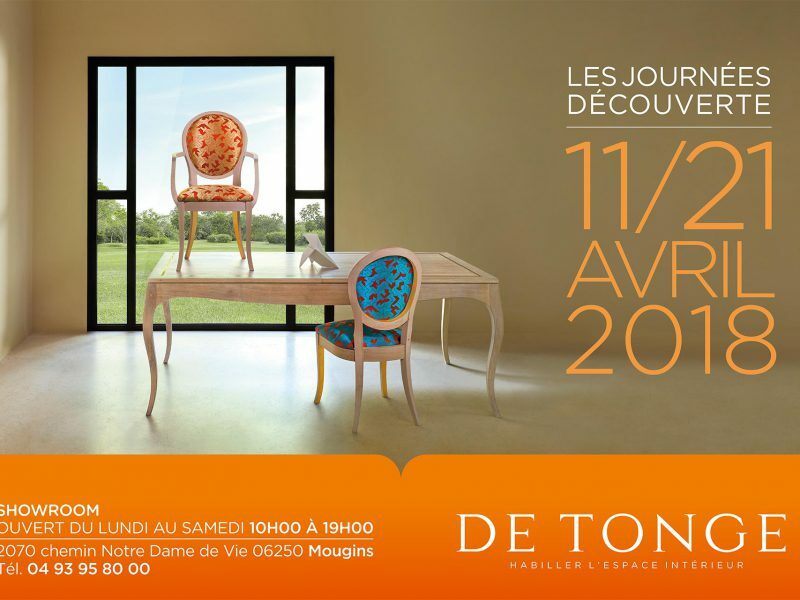 The editors take the opportunity to highlight the new developments in the style of DE TONGE infused for several years. Illustrating this new collaboration, the Trema writing desk was designed by designer Thibault Desombre, with many distinctions. 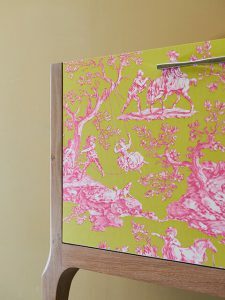 It is a wall-mounted secretary, made of solid oak and partially covered with wallpaper with toile de Jouy reinterpreted by an acidulous coloring. 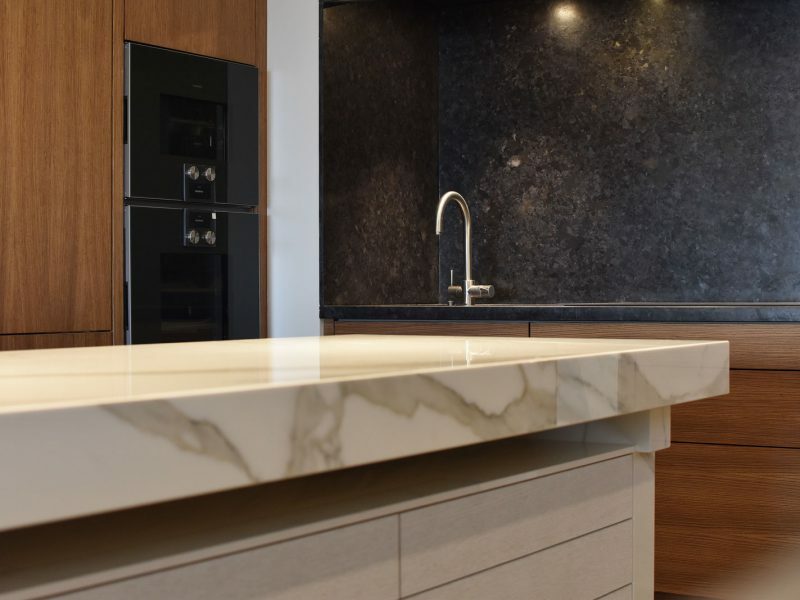 The designer wanted to express the DNA of the brand and its expertise in cabinetmaking. In addition, reminders of the Louis XV style, through the curved legs and the toile de Jouy, testify to the heritage of French furniture. The Trema writing desk is finally a projection towards the future, with the purity of its lines and its treatment of natural oak.